In the last couple of years, the flipped classroom model has taken education by storm. It seems like nearly every site on the Internet is featuring articles, blog posts, professional development opportunities, webinars, and other resources for flipping instruction. While there isn't an absolute definition of the “flipped classroom,” there are simple concepts that are common to most discussions. In a flipped classroom, teachers record chunks of lessons in a video format and post them online. Students watch the videos outside of class, freeing up time for more one-on-one interaction between teachers and students, modeling by the teacher, collaboration, project work, experiments, and more. As you dig deeper, though, you will find many teachers who are interested in the flipped classroom model, but have not taken the plunge and actually flipped their instruction. Why? Some argue that not all students will be able to access the videos outside of class. Some teachers may not have the technology skills to record videos and post them online. Still others are fearful they will “do it wrong” or that the flipped classroom may fail to engage their students. One thing seems certain: video as an instructional medium is here to stay. Recently, I was having trouble with the drain to my dishwasher. Before I called a repairman, I went to the same place so many others go: YouTube. I found more than one video with ideas to try. As a result, I learned some things about plumbing, drains, and dishwashers in the process… and I fixed the problem. Our students are doing the same thing, regardless of whether or not we ask them to. When they want to know more about a math concept, a science experiment, a research project, how to be better at a sport, learn to play guitar, or figure out how to maneuver in Minecraft, young people look to videos, on sites such as YouTube, to find answers. help a student catch up on things he missed during two days' absence by offering a short 5 to 10 minute video he could watch on the one computer you have in the back of your class? reinforce the lesson you just taught by including a 3 to 5 minute review video for all students to watch as they move from center to center in your classroom? pre-teach tomorrow's lesson or introduce next week's unit theme? demonstrate one math problem and send the link to parents who might be better equipped to help their students with homework? model the thinking process of pre-writing over and over (and over) again without ever having to repeat yourself? For these kinds of activities, which I call “Somersaulting the Classroom,” you don't need to create or use a video every day. You may decide that making a video is worth the time and effort only when the majority of your students need an extra push to understanding. You may prefer to use the videos only in your classroom and not post them online. Regardless of the details, video is a great way to support your current instructional practice without requiring you to transform your entire model of teaching. This brings up two important questions. First, what kind of video will you make? Second, what do you need to make it? You can create videos in three common “flipped classroom” video styles with free or inexpensive tools. One of the most well-known sources of online instructional video is Khan Academy. Khan Academy videos are actually screencasts, where a software program captures everything on the presenter's computer screen and records the instructor explaining what they are doing. As you watch a Khan Academy video, you hear the instructor's explanation while watching words and numbers “magically” appear. Screencast is a great format for teachers who have an aversion to seeing their own face on a computer screen, or who want to create something quickly without the need to edit. 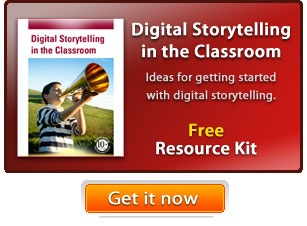 To create a screencast, you just talk and do. You can start making screencasts with just a few inexpensive items. You might want a headset with a microphone, which you can pick up for less than $25, or you can use the earbuds that came with your iPod or iPhone. Screencasts can be recorded using SMART Notebook software, Promethean ActivInspire software, Camtasia Studio, or using a website such as Screenr or Screencast-O-Matic. Dr. Lodge McCammon has taken a different approach to flipped instruction. His videos show him seated in front of whiteboards with notes or drawings already in place. As he speaks to the camera, he points to the board behind him and underlines with his fingers certain key points. When he is finished with a board, he simply slides it out of the way to reveal the one behind it. This video format requires some type of camera mounted on a tripod. You can use a Flip Video camera (less than $40 online) or any other digital camcorder, a tablet, or a smart phone. If you use a tablet or phone, you will need a way to mount it to a tripod so it is held perfectly still. Like screencasts, no video editing is required. Just start recording, talk to the camera, then turn it off. You can upload your video directly from the device, or move it to a hard drive to add titles and other effects. You can buy a 4' x 8' shower board at Lowe's or Home Depot for less than $15. They will cut it into six equal pieces for a nominal fee. Six white boards should be enough for any video lesson. The third video style is the one I use on my YouTube channel, Coffee Time Edu. It combines elements of Khan Academy and Dr. Lodge McCammon's style to capture what is happening on screen and record a video of the instructor that will appear as a picture-in-picture in the finished product. This video format can be used with anything you want to do on-screen such as showing websites, PowerPoints, or whiteboard flipcharts; demonstrating software; or even mirroring your tablet or phone to explain apps. You can use websites like Screencast-O-Matic to combine your computer screen with video from your webcam. It can be used directly after recording, or you can do some editing if you prefer. I use Camtasia from TechSmith to record my videos. It is a relatively inexpensive program (educators can purchase for $75), and it has a robust, easy-to-use, editing suite built in. Creating instructional videos is a fairly straightforward process… choose the video style you prefer, find the hardware, software, and props to make the process easy for you, and start recording. While not everyone has the time or patience to flip a classroom, all of us can do a somersault! Tim Childers (@tchilders) serves as an Assistant Principal at the L&N STEM Academy in Knoxville, Tennessee. He is a member of the TN Leadership Council for the Discovery Educator Network and is on the Board of Directors for the Professional Educators of Tennessee. He was listed as one of TechSmith's "20 to Watch" educators in 2011 and was a 2012 keynote speaker at the Mid-South Technology Conference in Memphis, TN. Tim writes random musings about life, and education's part in it, at his blog.